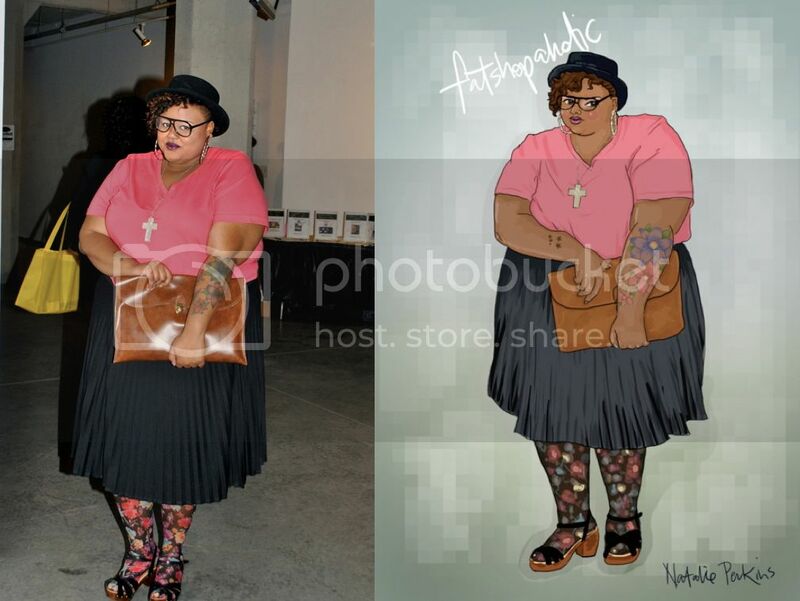 Fat Shopaholic: I'm a Cartoon! I just wanted to stop by really quickly to show off the lovely drawing Natalie of Definatalie did of me in a outfit I wore earlier this Spring. I love this drawing, but I must say it's kind of weird seeing myself as a cartoon. I am thinking of using this as apart of a new blog banner for Fat Shopaholic. Natalie is so talented, so check her out please!